I was a brand ambassador for Plutonium Paint and I was compensated for my work with them. The opinions in this post are 100% my own. 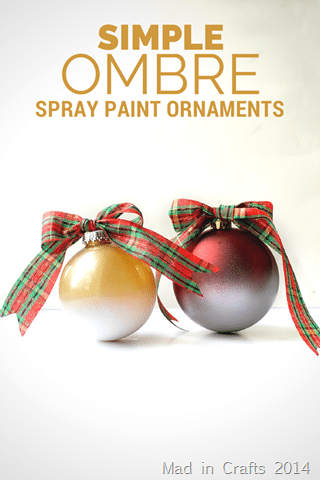 If you are bored with your old ball ornaments and want to give them a new look, nothing is simpler than this spray paint technique. You can give the ornaments a gradient look in just one step. I used the technique on some large plastic ornaments from the dollar store, but it will also work on metal or glass. This ornament started as a clear plastic ornament from Dollar Tree. I misted a few shots of Plutonium 1st Place Metallic inside of it and let it dry for a few minutes. That gave it the translucent gold color you see. You can just as easily do this technique with an ornament that already is a solid color or you could leave the ornament clear and just have the gradient go from color to transparent. The important step is that you set the ornament up on top of a small cup like a plastic shot glass or paper bathroom cup. The cup will hold the ornament in place while you work, but it should be as small a cup as you can find. Shake up the spray paint and set the cup and ornament on the ground. Hold the can parallel to the ground and spray straight down at the ornament. As long as the can is always held parallel to the ground, you will automatically make the paint fall straight down on to the ornament, creating the ombre effect. 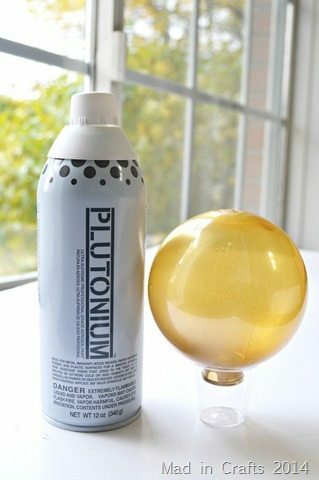 Let the paint dry (my Plutonium only took 3 minutes to dry) and admire your fancy new ornament. You can do this process one at a time, or you can set up multiple ornaments in cups and paint them in as assembly line. 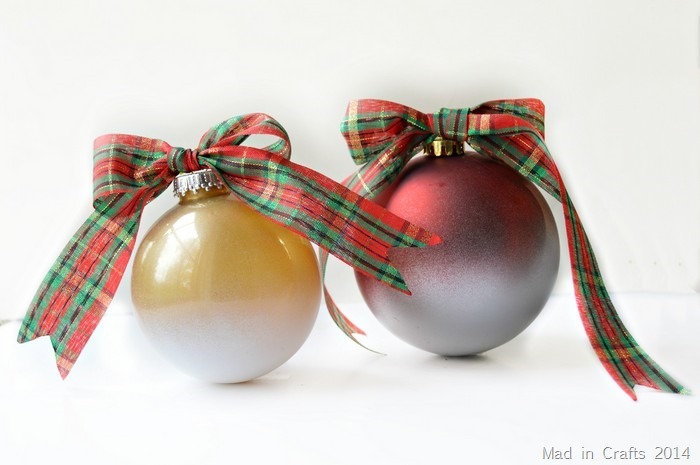 The ornament on the left was painted with 1st Place Metallic inside and Polar outside. The ornament on the right was already red and then I added the ombre in 2nd Place Metallic. 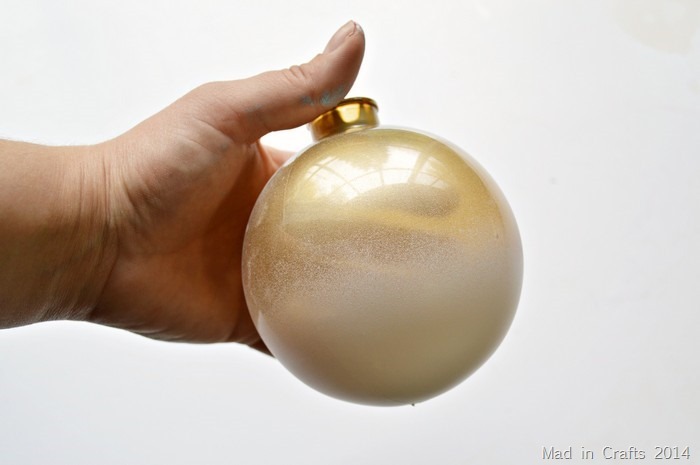 Check back again next week for another ornament tutorial using fabulous Plutonium spray paint! These are a lovely upgrade to plain ornaments! Now I want to do this! They are beautiful, would make great teacher/neighbor gifts too!